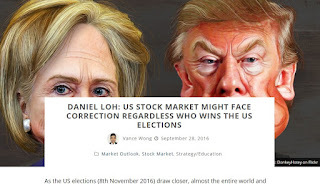 Daniel Loh: US Stock Market might face correction regardless who wins the Election! US Stock Market might face correction regardless who wins the Election! I have given my views of the market on this coming election and article was written by Shares Investment.